If you are the local administrator of a site licence with a fixed number of site licence members then this is managed by a Sketch Engine Key (a character string) which we will have set up for you upon payment. 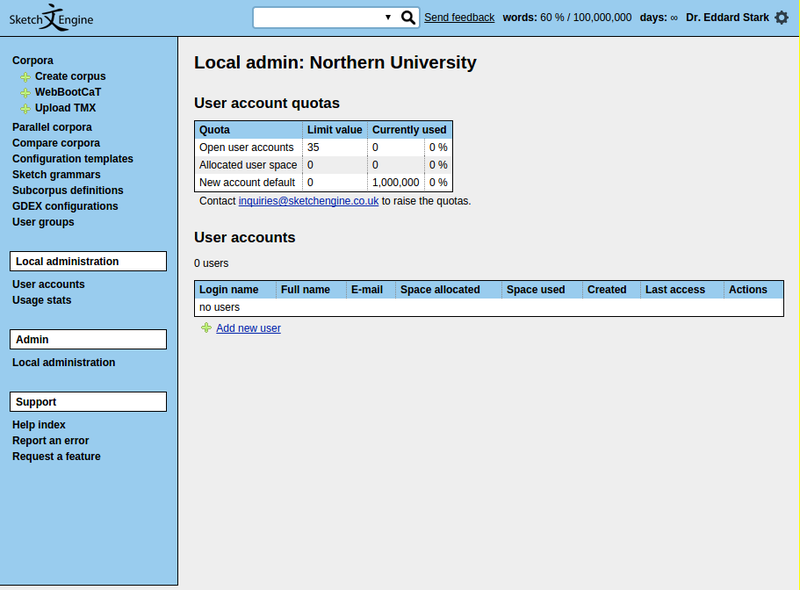 The instructions for adding and managing user accounts are below. Note that if you have an site licence with an IP address range, users can also access Sketch Engine from within the IP range without needing to login. 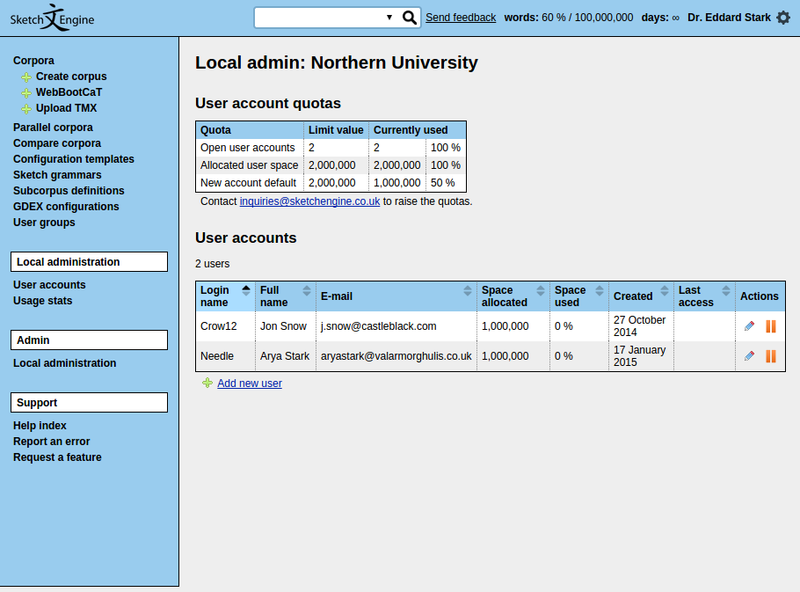 You will then see a screen where you can add new users. To delete a user click the red cross icon. This will free up one of your accounts under the site licence. If you wish instead to edit an existing account or pass it to another person with any associated corpora that this account had created, then click the pencil icon to edit and change the account details. enter the key in the box below. click on register and the password is automatically sent to the e-mail address entered. If you exceed the fixed number of users for your site licence then you, as a local administrator, should delete the unwanted accounts or contact inquiries@sketchengine.eu to increase the number of accounts.